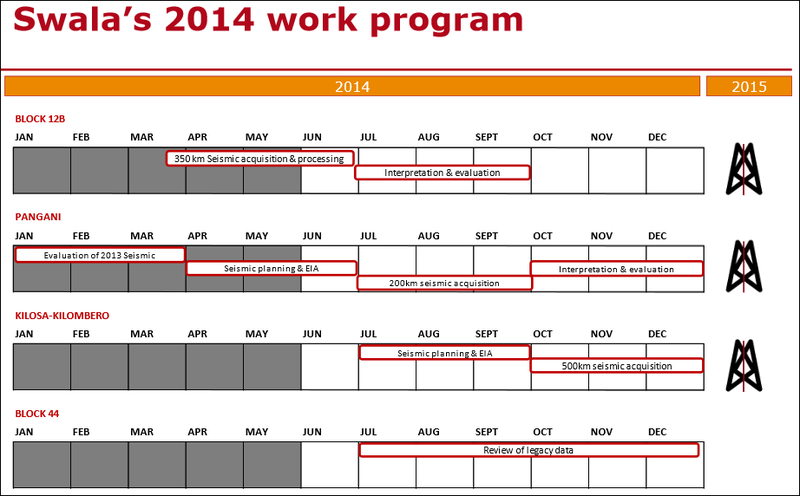 CEPSA: 25% net working interest. The deal, with a gross value of $36M, will see SWE have past related costs repaid and be free carried through the first two exploration wells if CEPSA decides to participate, up to a maximum of $7.5 million for each one. SWE’s $36M farm-out was quite simply the best on shore deal on a per square kilometre basis achieved to date in Africa. It’s valued SWE’s 12B acreage at more than $17,700km 2. 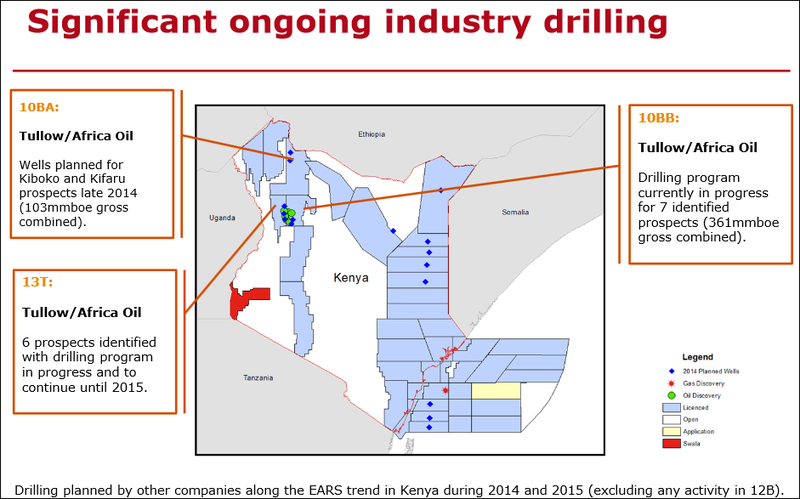 This farm-out is testament to the interest companies have in gaining exposure to the East Africa Rift System (EARS). The EARS received major attention when it served up huge oil discoveries, led by Tullow Oil and one of our favourite companies Africa Oil Corp (TSX:AOI). Now as SWE investors, what we like is that the exact same JV partner, Tullow Oil, that struck it rich with AOI, is working with SWE. 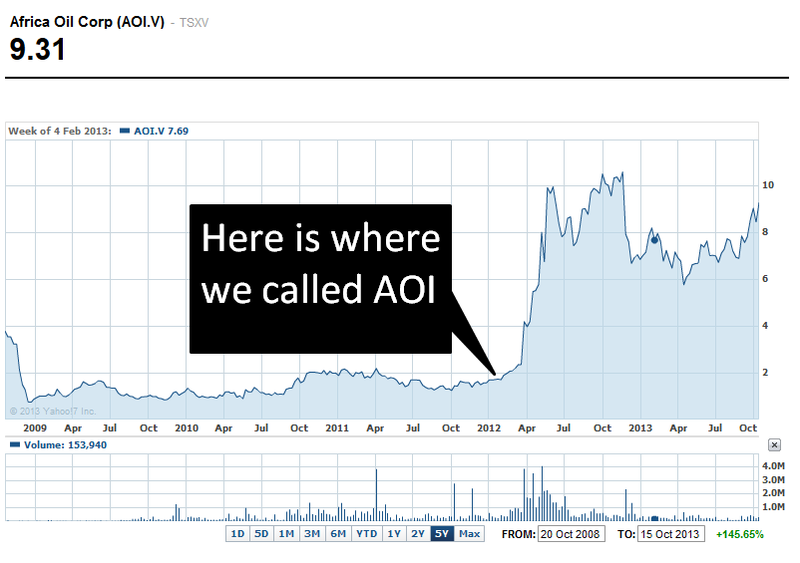 In case you are new to our site, we first called AOI BEFORE their oil discoveries in the EARS, in our Next Oil Rush Tip of the Decade . We called it around CAD$1.8 and has been as high as CAD$11.25 since – that’s over 600%! 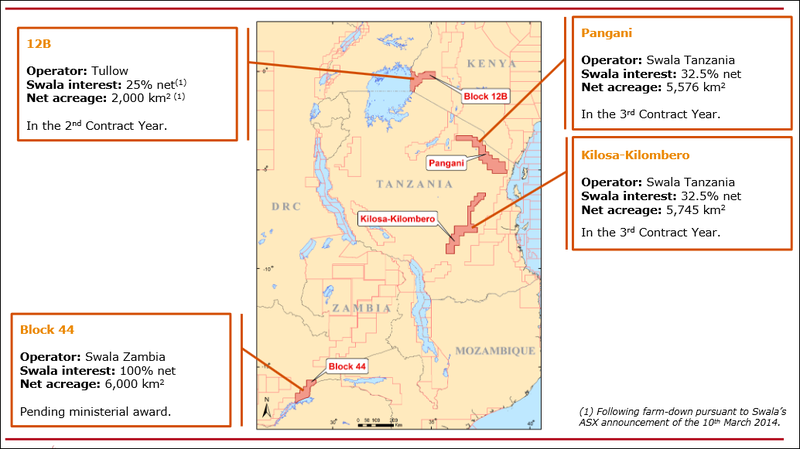 In Kenya, SWE’s Block 12B is highly prospective for oil and being explored in a JV with Tullow Oil – a true oil major with a market cap over 7 billion GBP, and now CEPSA, the recently revealed player backing SWE to the tune of $36M. 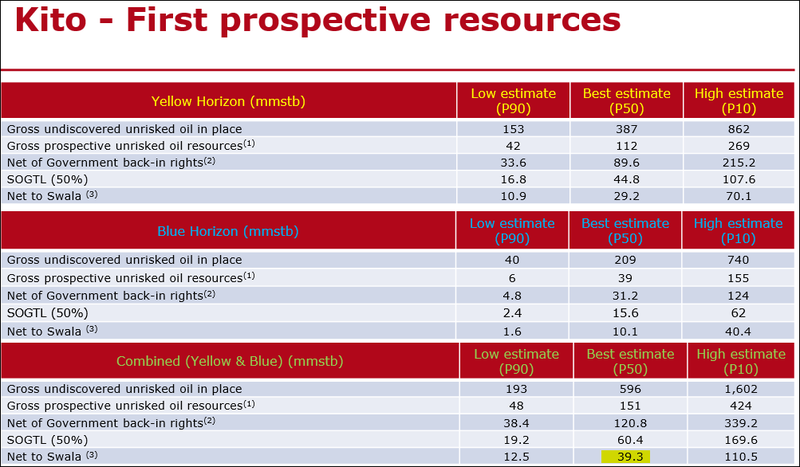 Now the Tullow part of the equation is where it gets really interesting for SWE investors. 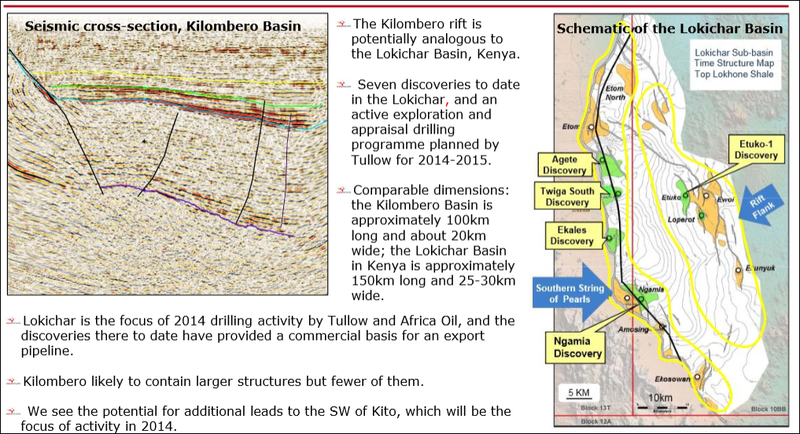 Tullow is also a JV partner with Africa Oil Corp (AOI), that first mover within the EARS with a strong focus on the Lokichar Basin in Kenya – an area that’s analogous to SWE’s Block 12B . AOI went from a junior on the TSX to a multi-billion dollar behemoth – all because it successfully struck oil in Kenya, with JV help from Tullow. It has continuously struck big oil discoveries in the Lokichar and in 2012 its share price went from $2 to over $11 – a vertical leap of which Michael Jordan would be envious. Do we need to show you the chart again? The past performance of this product is not and should not be taken as an indication of future performance. Caution should be exercised in assessing past performance. This product, like all other financial products, is subject to market forces and unpredictable events that may adversely affect future performance. The Lokichar is all well and good – and we have done very well out of AOI, however in SWE we see similar potential – SWE bears striking similarities to AOI, pre oil discovery . SWE’s Kilombero is potentially analogous to AOI and Tullow’s Lokichar. Tullow will be transferring all the skills and knowledge picked up on their Lokichar discoveries, and applying it to their JV with SWE at Kilombero. In addition to Kenya and Tanzania, SWE has just added Zambia to its list of oil and gas ventures in the East Africa. 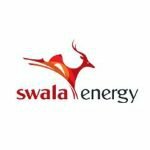 Swala Energy (Zambia) has been offered hydrocarbon exploration rights over an area in the south of the country known as Block 44. 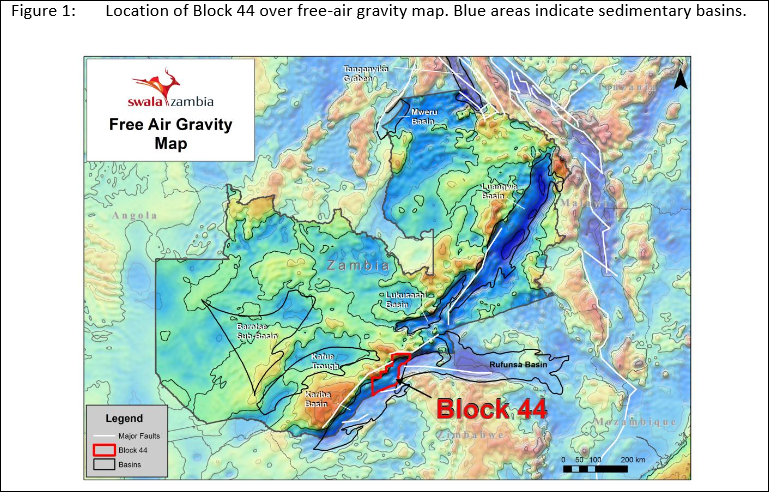 A huge amount of oil and gas is imported into the rest of Zambia so the opportunity to develop a significant energy source in the south of the country at Block 44 is a tantalising prospect. So alluring in fact, that a frenzy of Zambian land grabbing is underway with several major energy companies securing interests alongside the area SWE will be working in. Tower Resources is moving to acquire Rift Petroleum and will pick up the company’s Zambian assets as well as its significant plays in Kenya and South Africa. Confirmation of the licenses for the Scottish company by the Zambian government is expected soon. All this activity demonstrates the potential and market for the development of oil & gas resources in Zambia. 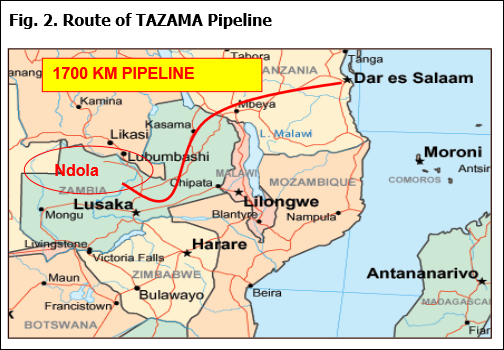 Zambia quite rightly are desperate for someone to make a discovery within their borders, and companies are stumping up big cash to take up positions – we are hoping that SWE will be the ones to strike oil. The offer to SWE was 100%... so the other big question remains – when and for how much might SWE farm down? Experienced Argonaut Energy Analyst Dave Wall reviewed the initial seismic surveys and reported that just one successful drill at Kito could add $2.75 to SWE’s share price . Remember – this kind of share price appreciation is dependent on drilling success and a myriad of other factors – sometimes Analysts are wrong. However this kind of coverage is always nice to see when it’s related to our investment. The Kito prospect is just one prospect in this very large area of Tanzania where SWE is operating in. Now SWE is shooting more seismic as it moves toward drilling. It’s already awarded a new contract to Polaris (Tanzania) Limited, the same company who completed the 2013 2D seismic survey. 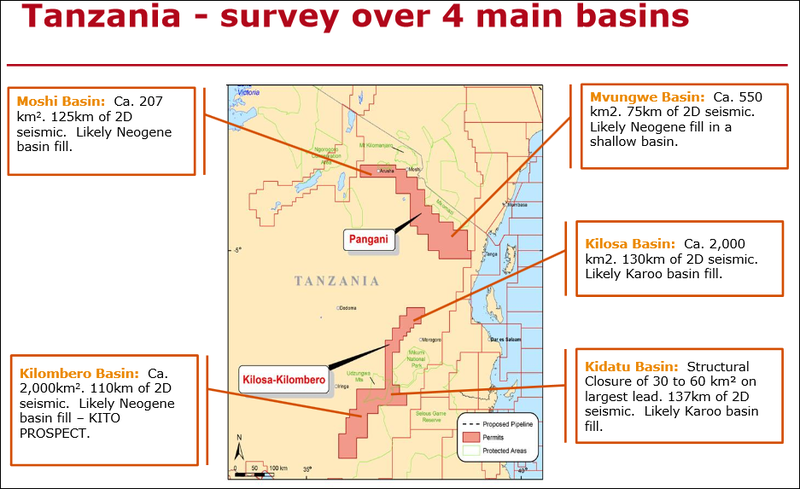 Both the Kilosa-Kilombero and Pangani licences will have more areas 2D mapped by Polaris, with 500km of 2D seismic over the Kilosa-Kilombero and a further 200km of 2D seismic over the Pangani licence. The main targets are in the Kilombero basin in Kilosa-Kilombero and in the Moshi basin in Pangani where a Neogene basin has been identified – a good sign of oil and gas in the ground. The Kito prospect and its best (P50) estimate of 39.3 million barrels net to SWE is a nice start – just imagine if they find more... We are hoping that the string of pearls could one day be a string of “confirmed oil reserves”. 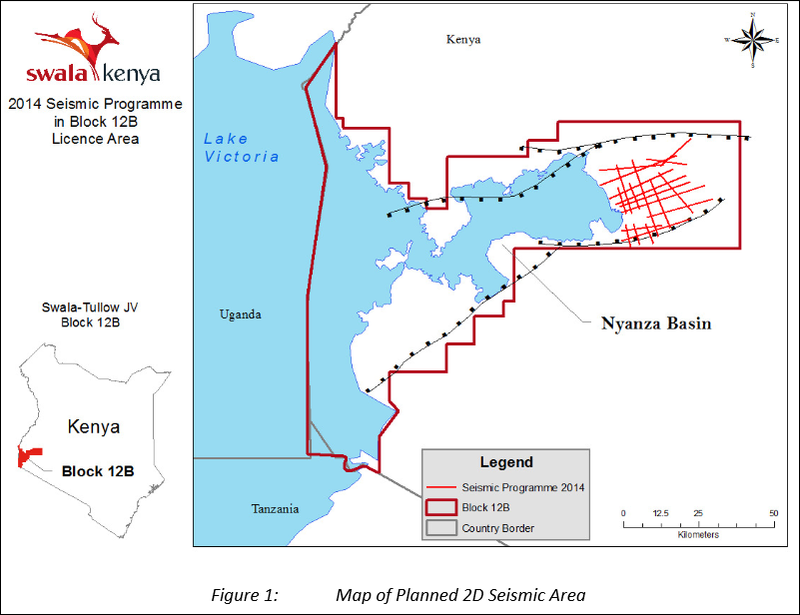 Block 12B lies in the Neogene Nyaza Basin which is an offshoot of the East African Rift System, the continental area that Tullow has successfully found oil in with prospects in Uganda and Kenya. SWE is confident there is oil in 12B. It just needs to find it. Now that the seismic results are in, SWE and its partners will complete the reprocessing and interpretation of the data before making a decision to proceed. 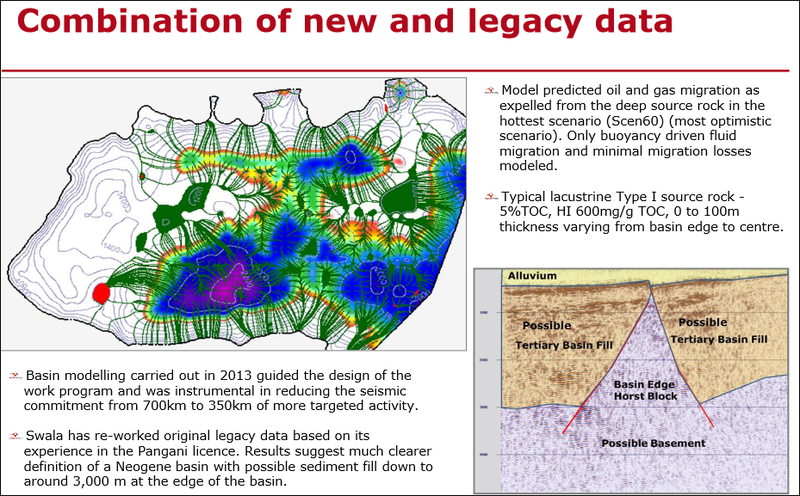 Just 50km of low quality seismic data was recorded back in 1989 but SWE reprocessed this meagre data and found a possible Tertiary basin. 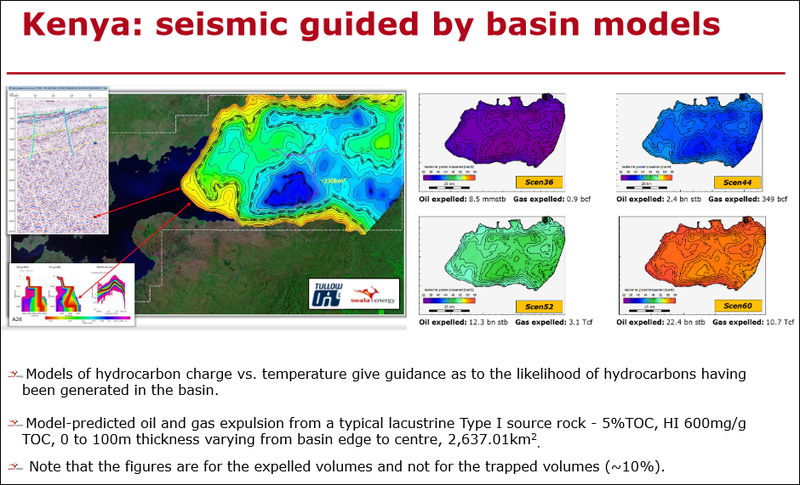 This finding was further supported by Passive Seismic work carried out by the JV in 2013. 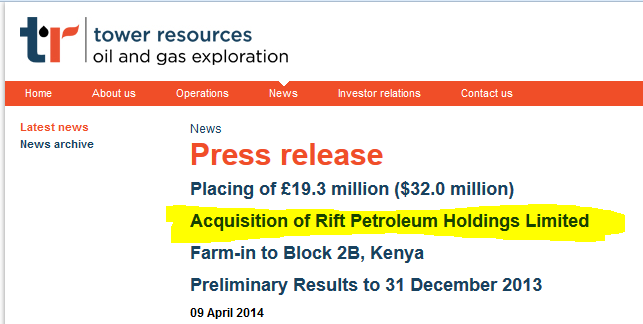 The Next Oil Rush is hopeful of some juicy drilling targets so we can look forward to the 2015 drilling campaign.